This 200g bag is enough to create a winter wonderland beneath your Christmas or to add that fresh fallen look to the branch of a live or permanent tree. - Weight: 200g. 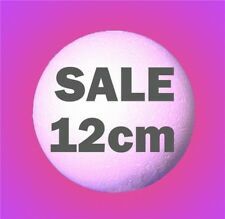 1 NICEXMAS Resin Fake Snow Sparkling Snow Fresh Fallen Snow. Product: Claus Cap Chair Cover. Style: Party Decor. Occasion: party wedding decoration. Type: Christmas Decorations. 6 Pcs Xmas Christmas Holders Pockets Dinner Table Decor Decorations Cutlery Bag. Material: Polyester. Condition: 100% brand new and high quality Material : Zinc Alloy Glass Quantity : 6pcs/Set Size :As Picture 1. 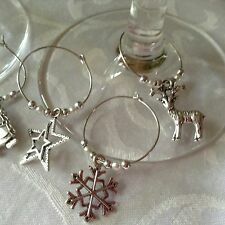 6 mixed styles Christmas theme wing glass charms drink markers set. 2. 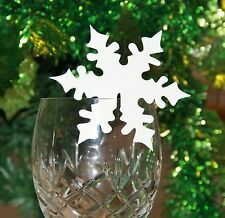 Great home party table decorations for Christmas holiday. 3. A prefect gift choice for Christmas festival. Packing Included: 1 Set of 6 Wine Glass Charm Note: 1. Color might be slightly different due to the color calibration of each individual monitor. 2. Please allow the tiny measuring deviation due to manual measurement. 3. Thanks for your understanding and enjoy your shopping moment!. These traditional Nottingham lace Monica table cloths have a delicate floral rose pattern with scalloped edging and would make the perfect choice for your dining room table. These table cloths are available in White and 36" Square (90cm). Baby Shower. Wedding Products. Plastic table covers are a convenient way to protect your table from unexpected stains and spills, whilst adding. We employ local people, working flexibly to accommodate their families' needs. Top Craft Categories Coloured Card and Paper Fabric Paint Gift Kits Paint by Numbers Pottery Tools Sticker Books VIEW ALL. Top Art Categories Art Sets Brushes Canvas Colouring Books Palettes Portfolios Sketch Books Stencils VIEW ALL. Product: Christmas Silverware Holders. Style: Party Decor. Christmas dinner is one of the most exciting meals of the year and it's natural to want everything to be extra special. From your turkey to your tinsel no detail is spared; that's why Christmas table decorations and settings are a great way to amp up the Christmas spirit on the special day. 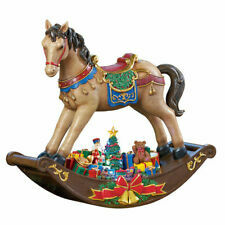 Whether you prefer a classy touch to your table or some fun festive decorations there's plenty to choose from. Choose a set of elegant festive-patterned wine glasses to get your dinner guests into the spirit on Christmas day. You can choose from designs such as Christmas trees, or maybe just embrace the sparkle and shimmer of the season with a glittery glass. 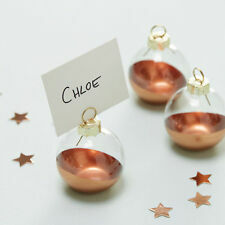 Or, why not personalise each guests' tipple with a seasonal wine glass charm? Looking for something to steal the limelight? There are plenty of fancy serving bowls, ideal for roasties in the middle of the table or for placing on a sideboard with nibbles in them. For families with little children festive-themed cutlery holders not only look great, they're perfect for entertaining little ones. Maybe you're super organised and assign your guests their seats in advance, or maybe you just want to make the most of the Christmas decorations. Either way, you'll find plenty of Christmas-themed place settings, including reindeer and Christmas jumper-shaped name tags. 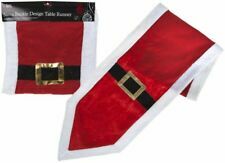 If you want a hint of festivity without going overboard then Christmas placemats are ideal. When it comes to the Christmas table it's not all about eating and drinking, your dining room can look great too. Choose from yuletide tablecloths, chair covers and table runners, or all three if you like! For the added wow factor a centrepiece adds drama and focus to your dinner table. Opt for a glitzy candle holder if you want a glamorous effect, or choose a wreath with lush evergreens and winter berries for a sophisticated seasonal finish.